The Singapore Tourism Board’s (STB) annual Singapore Experience Awards (SEA) lauds individuals and organisations for going above and beyond the call of duty in delivering special, quality service experiences. Nominated by the public and tourism professionals and judged by industry experts, the awards pay tribute to outstanding organisations and exceptional frontline service staff for 2015. Highlighted here are customer service staff who play an important role in creating and delivering a quality service experience to the people they encounter. Good customer service goes a long way in creating memorable experiences. So, receiving good service at a restaurant will probably have you mentally bookmarking that particular establishment for a return visit and recommending it to others. Mr Bonaventure Newman D’Silva, supervisor at The Clifford Pier, a restaurant at The Fullerton Bay Hotel, takes the time to understand his customers and their needs so that he gives them a “truly memorable experience”. His passion for what he does is evident and has won him the SEA’s Customer Service award in the Food & Beverage category for the second consecutive time, the first for any winner. “I am humbled and overjoyed. This definitely is a boost to my confidence. As I am turning 50 next year, I see this award as a life-time achievement,” he says. Good customer service should come from the heart, he says. He greets all his customers with a smile and heartfelt welcome. “I want them to feel highly satisfied with the experience, to feel they have been well taken care of and for them to share that experience again with their loved ones by coming back to dine at Clifford Pier again,” he says. The enterprising supervisor enjoys communicating with guests and wants to learn Mandarin, in addition to being already fluent in Arabic, Hindi and Tagalog. Mr Sim Boon Hwa is marking a 16-year career as a bus captain with SMRT. Friendly and helpful, he is well liked by his colleagues and passengers, and it is not hard to see why. Always challenging himself to go the extra mile, Mr Sim takes the initiative to familiarise himself with the popular attractions in Singapore, and many commuters, especially tourists, appreciate his tips on where to find hostels, supermarkets and restaurants. Also, Mr Sim has been known to go out of his way to provide assistance to commuters. Once, he gave $50 to a schoolgirl who had lost her purse at a bus interchange, worried that she would not have enough money to return home. Driving bus number 67, Mr Sim’s main role is to provide a safe and pleasant journey for passengers. This means ensuring the correct fare is collected and that customers comply with the correct etiquette while travelling. “I joined this industry as I like to meet people,” says Mr Sim, who received SEA’s Customer Service (Transport) award. This dedicated mentor to newer bus captains also became an assistant training instructor a year ago. Plus, he is a service representative, gathering information and looking for ways to improve service operations, passenger safety and comfort, and the welfare of his team members. “I feel very honoured to be recognised and to be able to contribute towards the good experiences that tourists have in Singapore,” he says. According to Mr Fenady Effendy Abdul Jaffar, good service goes beyond just being the service provider at work. “I believe we are also our own brand, and how we interact with people reflects on who we are,” he says. 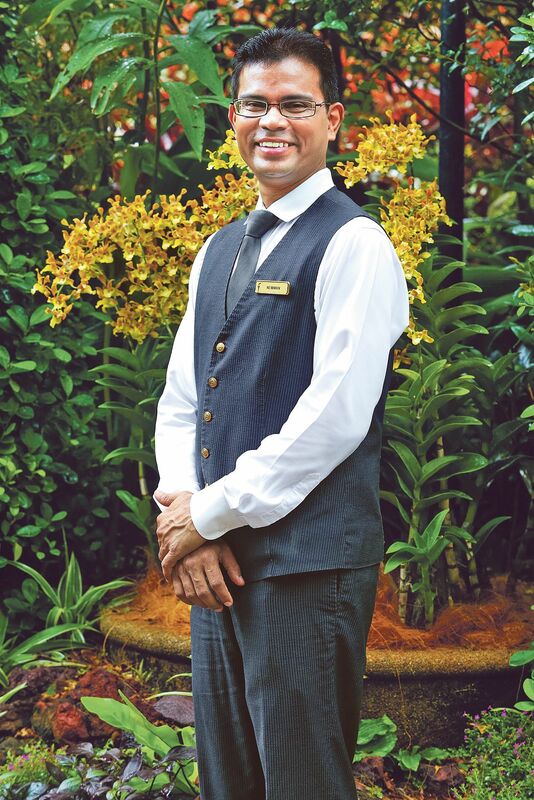 Mr Fenady is the guest service supervisor at Far East Hospitality’s Oasia Hotel Singapore. He assists guests with various concierge tasks like making restaurant reservations, procuring tickets to special events and recommendations to nightspots. On the job for just over three years, Mr Fenady already has several awards under his belt including the SEA for Customer Service (Hotel). Mr Leo Douglas, front office manager, notes that Mr Fenady is extremely passionate and committed to his job. Attributing his success to his colleagues, Mr Fenady says that it would not have been possible to get this award without them. “It’s an honour,” he says. “It’s such a fantastic way to showcase our commitment and contributions to serving guests. 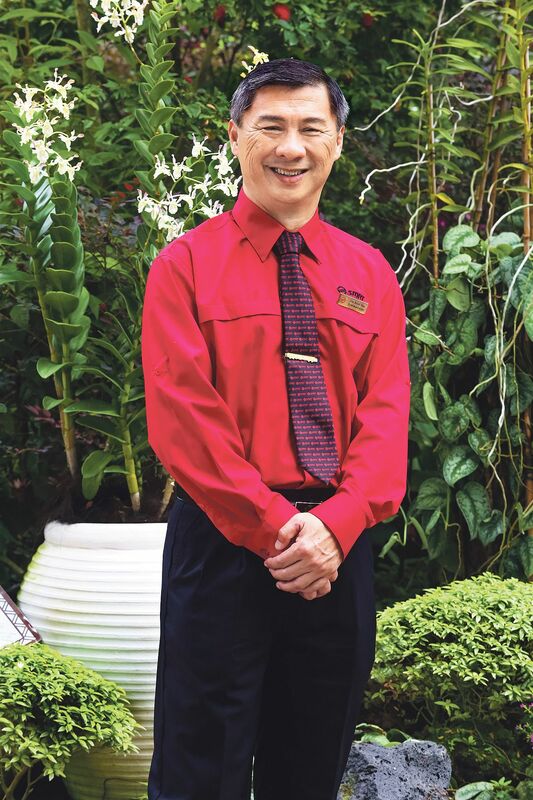 “Not only does the SEA boost the expectations for visitors coming to Singapore and experiencing the excellent service here, it also encourages healthy competition among service industry providers to do better, and motivates all of us to constantly deliver great service to our customers,” he adds. Mr Fenady lives by the 3Ps — passion to serve, patience in dealing with people from all walks of life and varying situations and perseverance to be able to keep doing this over and over again. That, coupled with the “just say yes and get on with it attitude”, helps him see things not as a problem but more of an opportunity to be of service to someone. 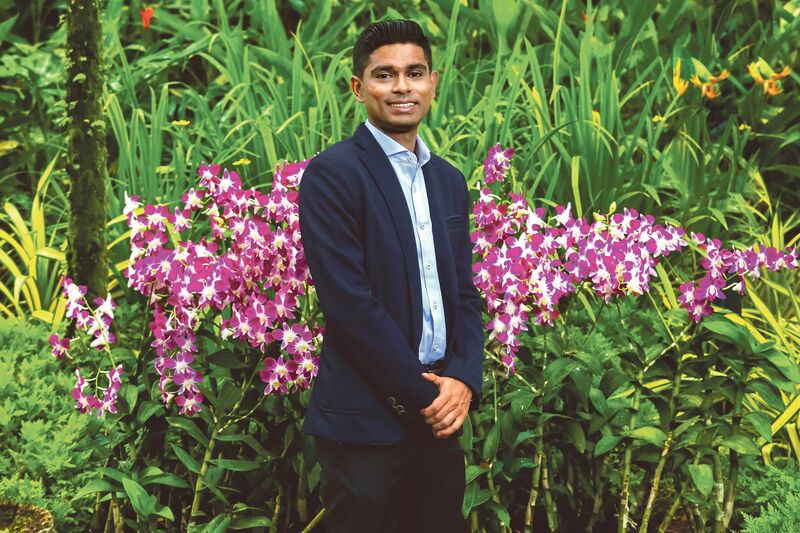 Working with animals daily is a dream come true for animal lover Mohammad Shahril Saine, who delights in the beauty, agility and intelligence of the birds he works with at the Jurong Bird Park. The senior trainer and presenter works on stage for the attraction’s live animal presentations such as the High Flyers show. He is also involved in animal training and husbandry. 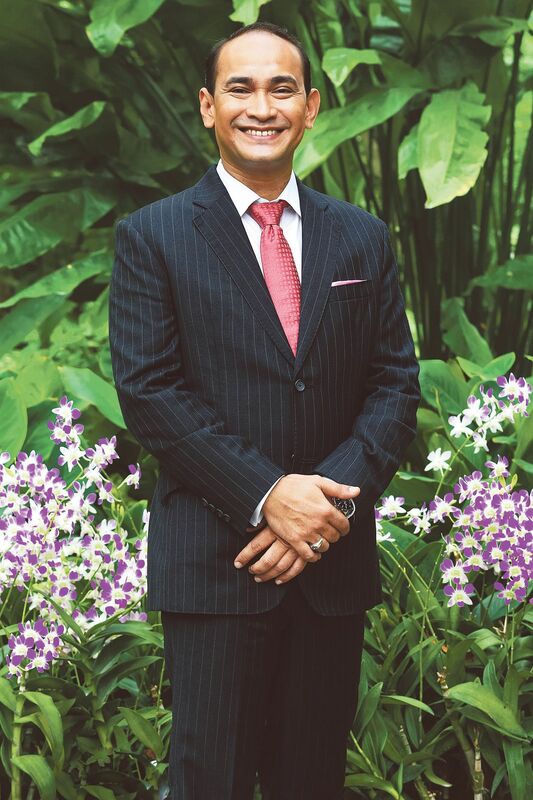 Mr Shahril believes in delivering the best presentation each time, to connect with guests and educate them about wildlife and make a positive impact on their lives. 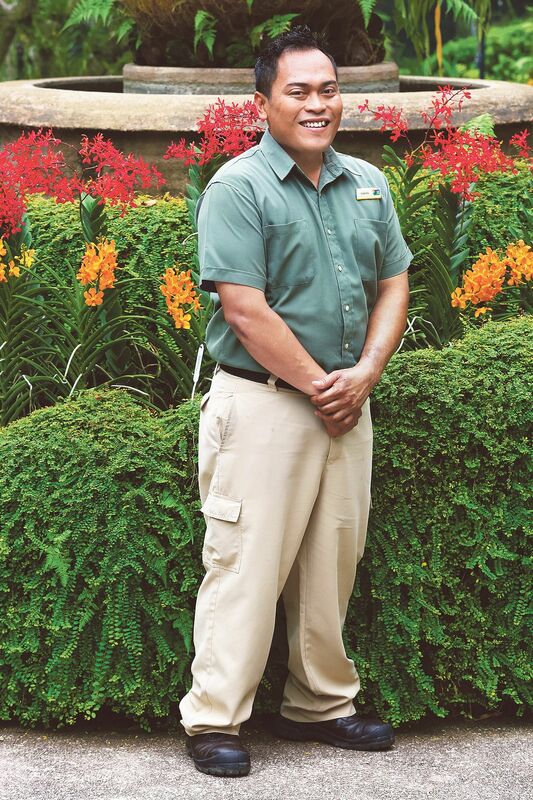 “Good customer service can be as simple as putting a smile on a visitor’s face and making them laugh, and knowing that they had a good time in the park while learning a thing or two about wildlife,” says Mr Shahril. His efforts have snagged him the SEA in the Visitor Attraction category. “It’s a nice feeling to be recognised for my hard work. Winning the award motivates me to work even harder and inspire others,” he says. At Wildlife Reserves Singapore, which Jurong Bird Park is part of, staff are trained to respond to guests’ requests with “let me see what I can do”. Chief executive officer Mike Barclay says staff have a certain degree of decision-making autonomy to ensure things are more comfortable and enjoyable for visitors. When Mr Shahril encounters unruly visitors, such as those who try to jump the queue to take photographs with the birds, he manages the situation by explaining things calmly. “I feel a sense of accomplishment to be able to manage visitors effectively and have them end the show in a positive mood. “To be able to listen, empathise and turn negative feelings to positive ones is one of the greatest accomplishments,” he says. A principle that guides staff at the world’s highest alfresco bar, 1-Altitude is that customer service should come from the heart, and Mr Navinkumar Silvaraju exemplifies just that. “Everything that we do touches the guests’ emotions and appeals to their five senses. “We don’t only take orders and serve; ultimately, we want them to feel at home,” says the operations manager, who has been with the bar for three-and-a-half years, and won the SEA for Customer Service (Nightspot). All the little things matter to create a memorable multi-sensory experience for guests — the music should be pleasing and not too loud, food and drinks provide the taste and smell, service staff engaging guests in conversation — all with the stunning night view of the city as the backdrop. Mr Navinkumar ensures that his team understands how to appeal to the five senses of their customers and how to approach and greet guests, anticipate their needs and engage them in friendly conversation. The mark of his success are the regular customers, some of whom come in several times a week. 1-Altitude takes training seriously. New staff undergo on-the-job buddy training with managers and senior service staff for at least two weeks while full-time staff attend relevant service courses at least once a year, says Mr Navinkumar. As a result, many of the frontline staff are recognised as Employee of the Month too. Mr Navinkumar says he was given many opportunities to excel in his job with full-fledged support from his bosses.